Texas Scramble Tournament - Shotgun start at 8:00 a.m. Event includes a light breakfast, golf carts, silent auction, prizes, lunch, and a short update about the ministry. A golf experience like no other...from the championship golf course to the excellent practice facilities, Valley has something for everyone. Surrounded by gentle streams, horse farms and unprecedented views of the Rocky Mountains, this pastoral setting is a private and exclusive haven for golfers. Join us and experience this unforgettable golf course! 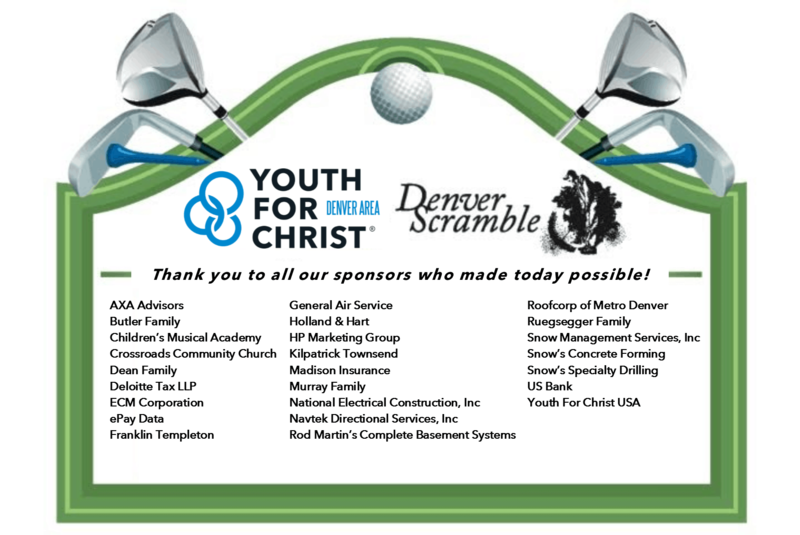 Thank you to last year's generous sponsors!